One of the most rewarding parts of our business is working with passionate artisans whose work is as much fine art as it is home décor. 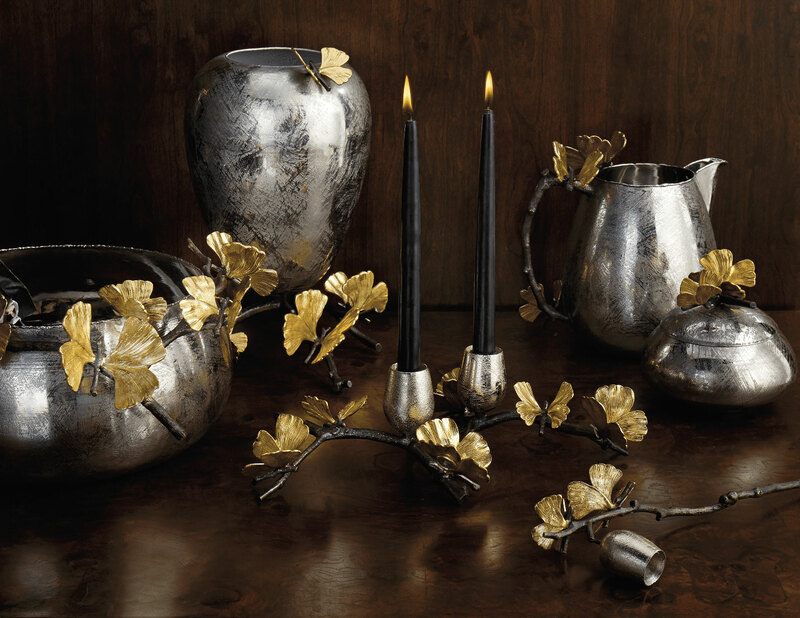 We are thrilled to have the beautiful designs of Michael Aram Collection back in the store. Aram is an American born artist who works primarily in metal. In the late 1980’s, Aram took what would later be a life-altering trip to India, where he discovered rich metalworking traditions. Inspired to work with craftsmen whose skills he felt were greatly untapped, Aram turned his creative energies towards craft-based design, setting up a home and workshop in New Delhi. Bridging the gap between the artist and artisan is a hallmark of Michael Aram’s Collection. His collection reflects humanity through the directness of the handmade process. Each piece is lovingly made using age-old techniques and is entirely handmade, with no two examples ever exactly the same. We have curated a collection of Aram’s work that ranges from tableware to decorative accessories. Their handmade qualities allow them to shift beautifully from decorative accessory to functional pieces of art. *Select pieces are available online but visit us in-store for a more complete collection of Aram’s work.